My son James’ college graduation is coming up and we’re so pleased to be able to host a small cocktail party for family and his close friends in Chapel Hill. I’ve been making the preparations with a lovely young lady at the restaurant we’ve chosen and one of the hors d’oeuvre we’re serving is a spicy Greek feta cheese spread called Xtipiti. 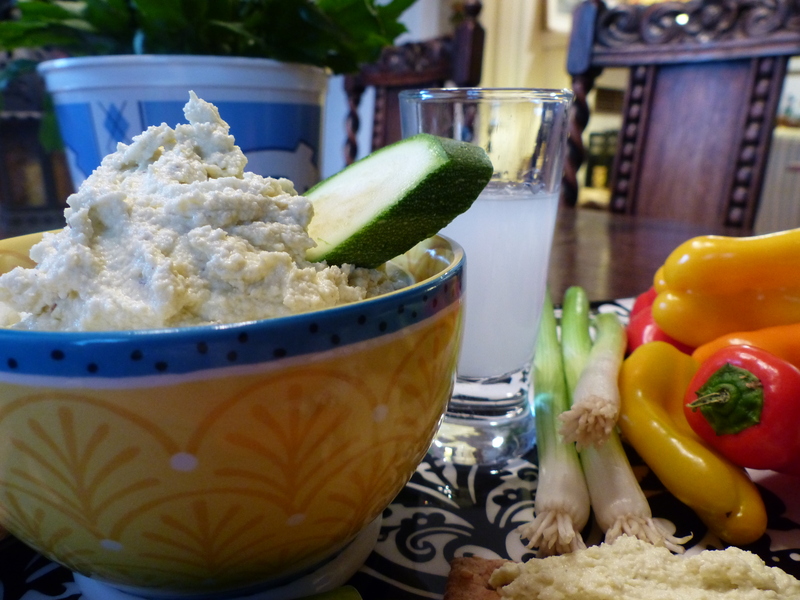 We first had this dip while staying in the small mountain town of Kalampaka, Greece. 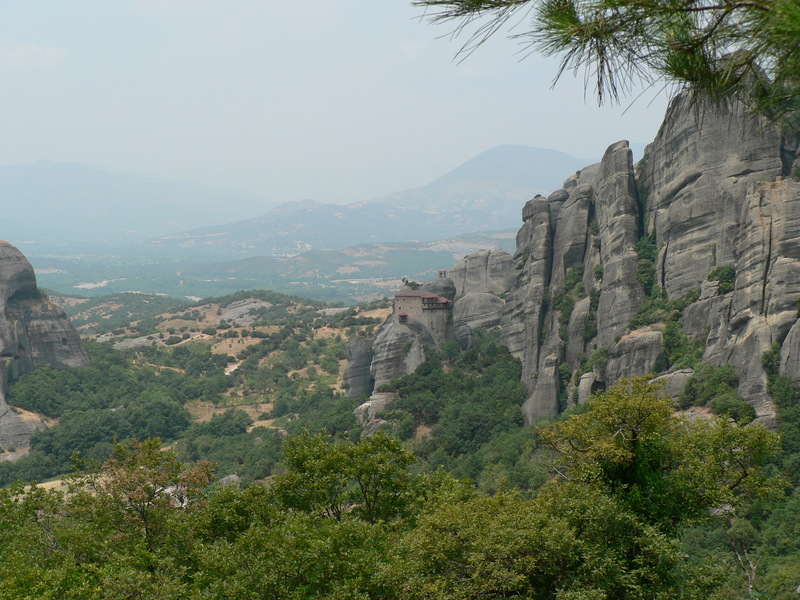 Kalampaka is right outside of Meteora and Meteora is where the monasteries sit perched atop the mountains. They are described as “hovering in air”. It’s spectacular. Late one afternoon we came out of our hotel to go for drinks and found at the end of the driveway a massive bike race. You’ve got your Tour de France and then there’s the Tour de Kalampaka! The streets had been closed off and the spectators flanked both sides of the streets. It was so exciting! The spectators yelled and screamed encouragement to their riders who were just flying by, hunched over the handle bar of their feather-weight racing bikes. What really astonished us was that most of the riders had a “support” group slowly driving small cars in front of them giving them encouragement by hanging out of the windows and cheering their rider on. But, jeez! What about the gas fumes? And, of course, in true Greek fashion all these old man cheerleaders were just puffing away nonstop on cigarettes while watching their riders fighting to breathe! As it grew later in the day we could see the exhaustion in the cyclists. That area of the country is notorious for having one hill or mountain after another. You could see the absolute fatigue in their dirt-lined faces. When we saw the last of the struggling athletes huffing and puffing up the hill, thigh muscles bulging, we left for drinks then dinner. The taverna we decided upon was truly tucked away and that’s saying something in that corner of the world! After ordering drinks and appetizers the waitress asked if we would also like Xtipiti. Wait, wait! What? 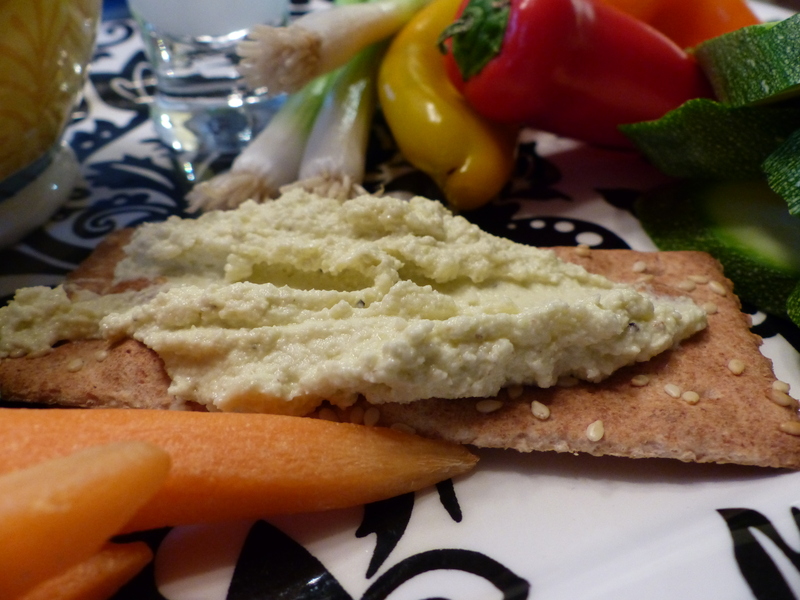 She explained it’s a peppery feta spread which we could have with bread, crackers or vegetables. One more dish we fell in love with! Another fast and easy culinary miracle Xtipiti has some variations. It can be made with lemon juice or cider vinegar. Some add a roasted red pepper and in addition sometimes sun-dried tomatoes packed in oil. It’s all good. I try to always scatter the bowl with a handful of finely chopped scallions not only for the taste but for the pretty green color. I’m so sorry! In my haste to get this post out in time for any weekend party people to enjoy I completely forgot the chopped scallions. But do it. Add them. I know you’ll so enjoy it. 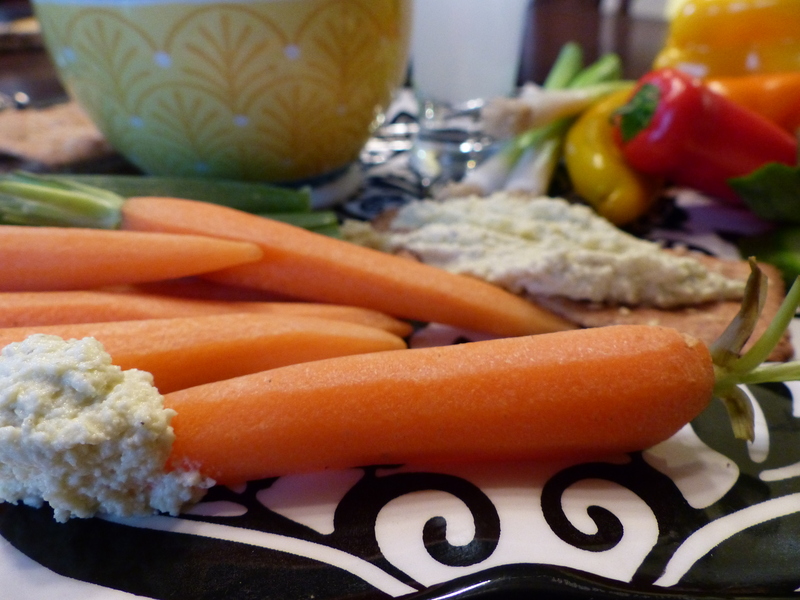 And, listen… let me know how you like the dip! 2-3 long, hot green peppers or the hot peppers of your choice, roasted, peeled and seeded. Set seeds aside. Pulse all ingredients in a food processor until smooth scraping down the sides as needed. Taste for salt and pepper. If you’d like more heat add some of the reserved seeds. Pulse until just combined or until as smooth as you like. Adjust seasonings. Cover and chill for 2 or 3 hours for flavors to marry. Serve with bread, crackers or vegetables. Stores well in the refrigerator for 2-3 days. Love the way you write, I can always visualize everything! I love you, my friend.